Most cats enjoy playing with ribbons, string, and tinsel, especially if they are shiny or moving. Kittens and young cats tend to be more curious and playful, and appear to see these items as toys that need to be chased, pounced upon, chewed or swallowed. While chasing and pouncing are healthy physical activities for cats, chewing and swallowing ribbons can be harmful. "If you want to let your kitten play with string or ribbon, only allow it to play with the item while under your direct supervision." When swallowed, these "linear foreign bodies" can become entangled in the intestinal tract, leading to bunching of the intestines as the body tries unsuccessfully to pass the string or ribbon. With each intestinal contraction, the rough or abrasive material rubs against the walls of the intestines, causing inflammation. Eventually, the material can even cut through the intestinal wall. This is a life-threatening emergency requiring surgical intervention. If you want to let your kitten play with string or ribbon, only allow it to play with the item while under your direct supervision. Better yet, don't even encourage this sort of play! I've heard that chocolate is poisonous to animals. Is this true? Many people do not realize that chocolate can be a poison when eaten in large amounts, even to people! 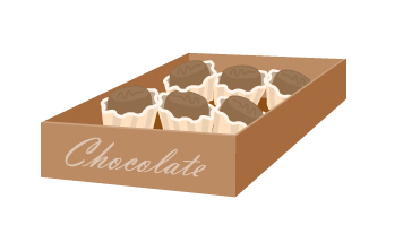 Chocolate contains a chemical called theobromine, which has caffeine-like activities. Theobromine is used medicinally as a diuretic, heart stimulant, blood vessel dilator, and a smooth muscle relaxant. Unsweetened or baking chocolate contains a much higher amount of the potentially toxic theobromine than milk chocolate (approximately 10 times the amount on average). For the average cat, weighing 11 pounds or 5 kg, the toxic amount of milk chocolate is approximately 11 ounces, but 1-2 squares of baking chocolate or high quality dark chocolate has the potential to be fatal. 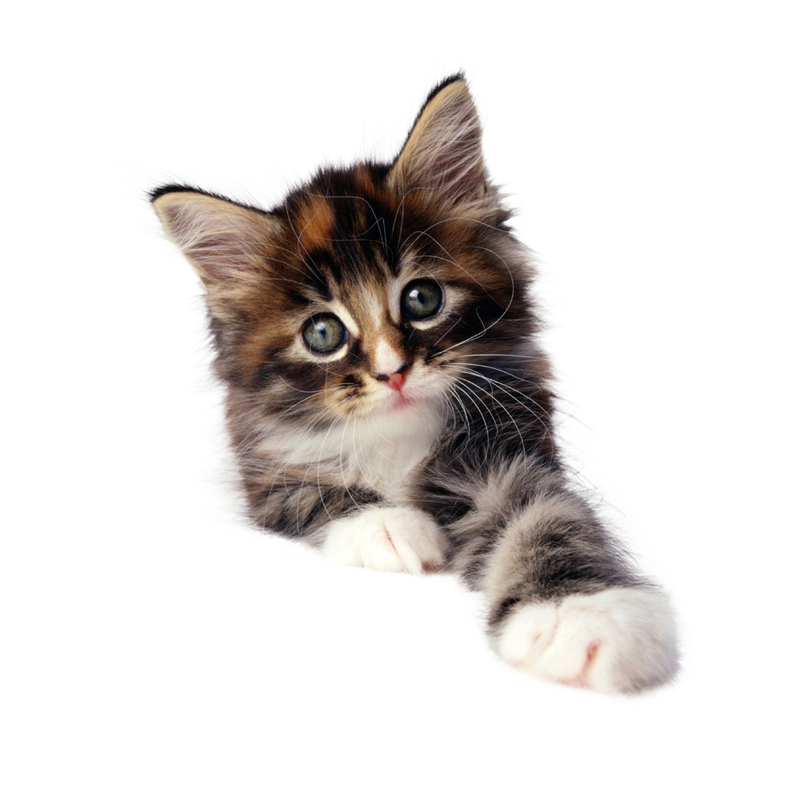 An 8-week old kitten usually weighs 1-2 pounds (less than 1 kg), and can be poisoned by only 1 ounce of milk chocolate! Clinical signs of chocolate poisoning include hyperexcitability, nervousness, vomiting, and diarrhea. In severe overdoses, the only symptom may be sudden death. 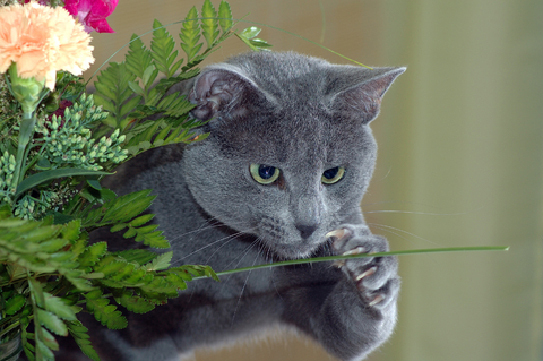 Other seasonal plants that are toxic to cats include daffodils, narcissi, and spring bulbs that are commonly 'forced' to bloom during the winter that bring a 'breath of springtime' into our homes. We all like to include our pets in holiday meals along with the rest of the family, but try to keep in mind that sudden rich diet changes are likely to upset a pet's stomach. Vomiting and diarrhea are not common medical problems that veterinarians see during any holiday time, and especially between Thanksgiving and New Year's Day. If you wish to feed your cat a special treat, give her only a small amount of lean meat. If you feed leftovers that contain a lot of fat, the pancreas may become overworked and inflamed. This serious condition is known as pancreatitis and usually requires hospitalization and intensive medical treatment. Also make sure that any string or packaging that was used during the preparation of roasts or turkeys is safely disposed of in a sealed garbage container. Most cats can't resist digging these well-flavored items out and eating them, potentially causing an intestinal obstruction. It's a good idea to keep your pets out of the kitchen during the hustle and bustle of the season. The last thing you want is for them to get underfoot and get burned or otherwise injured. By observing a few commonsense guidelines, you can share a safe and healthy celebration with your cat and give thanks for the companionship you enjoy with your four-legged family members.